Cute puppies in hats and scarves! 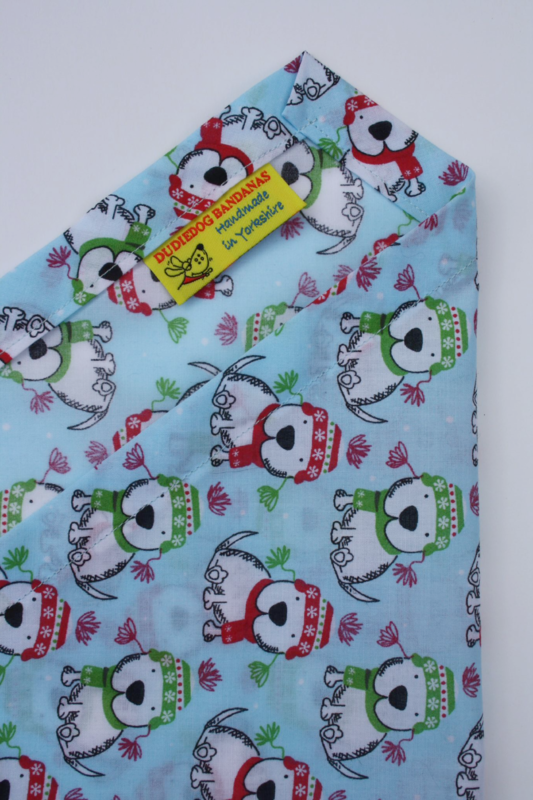 This is a really adorable Christmas bandana! 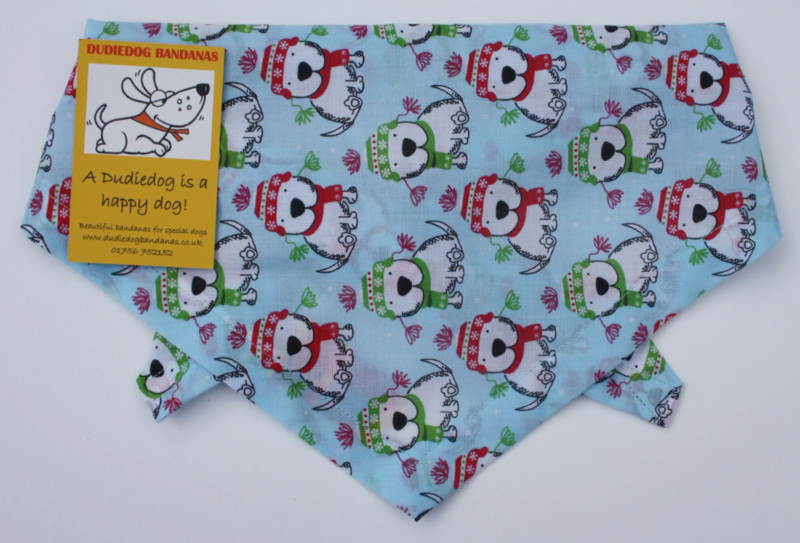 This is a super-cute Christmas dog bandana! 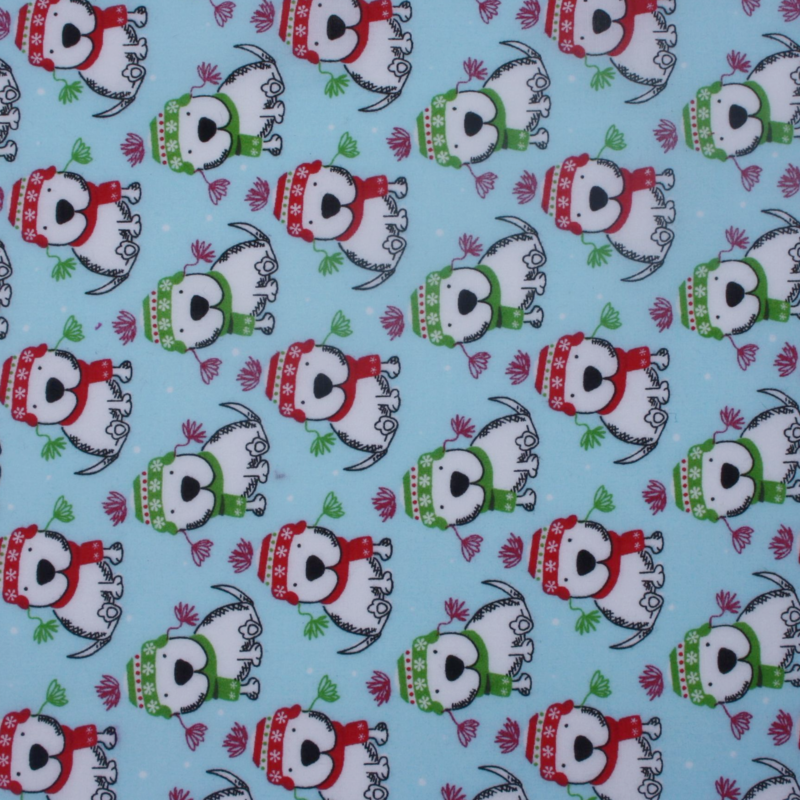 The background is pale blue, and the design incorporates sweet festive pups wearing hats and scarves! and hearts. It's a lovely design, and is the perfect Christmas accessory for any dog! It would also make a perfect doggy gift or stocking filler for your 4 legged friends! This lovely bandana is made with a good quality poly/cotton fabric. We normally only use 100% cotton for Dudiedog bandanas, but couldn't resist this sweet print! It's a tie on style bandana, and is available in 7 sizes.